U.S. Government aka Federal Mafia: Have you checked on your CQT “Cestui Que Vie” trusts-Latly? THE DIFFERENCE BETWEEN U.S. GOV. and MEXICAN MAFIA IS.... THE MEXICAN MAFIA MAKES A PROFIT. WE THE PEOPLE we CANNOT use the U.S. Constitution to defend ourselves, because we are NOT a party to it! The U.S. Constitution applies to the CORPORATION OF THE UNITED STATES. Remember U.S. is no longer the United States. Its run by The U.N. – United Nations. United states is financed and operations is run by IMF (International Monetary Fund). Blog is Real Researched True Facts. THK You. Have you checked on your CQT “Cestui Que Vie” trusts-Latly? GOVERNMENT JUST FOR TO TELL US. & watch the Judge seemingly freak out when you bring this sensitive information to the table. Inform the Judge that you are the EXECUTOR of the trial, and the judge is the ADMINISTRATOR of the trial & publicly define the roles of the CQV trust. The judge is unlawfully attempting to access your TRUST & can do so only through your consent, by deceiving you into agreeing to let them assume improper roles which grant them authority. The pseudo judges of these pseudo courts have NO powers without the consent of both the plaintiff and the defendant. (AND) In every case the Judge must determine that he has consent; personam and Subject Matter Jurisdiction before he can act or access the Cesta Que Trust. Note: All tradable Securities must be assigned a CUSIP NUMBER before it can be offered to investors. Birth Certificates and Social Security Applications are converted onto Government Securities; assigned a CUSIP NUMBER; grouped into lots and then are marketed as a Mutual Fund Investment. Upon maturity, the profits are moved into a GOVERNMENT CESTA QUE TRUST and if you are still alive, the certified documents are reinvested. It is the funds contained in this CESTA QUE TRUST that the Judge, Clerk, and County Prosecutor are really after or interested in! This Trust actually pays for all of your debts but nobody tells you that because the elite consider those assets to be their property and the Federal Reserve System is responsible for the management of those investments. I am here by Special Appearance, Sui Juris Autonomous en Personam, as the Belligerant Claimant in person. * I am the Authorized Administrator and Executor of the CESTA QUE TRUST created under the all caps name “ROBERT Q EVANS”. You are the Trustee, State / Mr. Prosecutor & I do not consent to being surety for these proceedings. In addition, I demand the bond be immediately brought forward so I can see who will indemnify me if I am damaged. At your Arraignment or Trial, the Judge will ask you if you are the named individual [ALL CAPS BIRTYH MANE] on the complaint and your natural response will be to answer in the affirmative but that is exactly wat you don’t want to do! As I understand the process Judge; the county attorney or Police Officer has leveled a criminal charge with the Clerk against the TRUST, using the ALL CAPS NAME that appears on this BIRTH CERTIFICATE! The use of capital letters is dictated by the US Printing Style Manuel, which explains how to identify a CORPORATION. THE Clerk, who is the ADMINISTRATOR of the CESTA QUE TRUST , then, appointed you Judge as the TRUSTEE for the TRUST and since neither of you can be the BENEFICIARY, that leaves me and therefore you are MY TRUSTEE! So as MY TRUSTEE, I instruct you to discharge this entire matter with prejudice and award the penalties for these crimes to be paid to me in compensation and damages for my false arrest! Note: The Law Of Trusts dictates that an Administrator; Trustee and Beneficiary cannot serve two positions in a Trust. So a Trustee cannot be a Beneficiary too. ***The TRUSTEE Judge has no alternative but to honor your demands but you have to get this right and act with confidence. You really need to know this information well, so that you can’t be hoodwinked or confused by either of them! They will or may attempt to play some mind games with you if you display any doubt; stammer or display a lack of confidence. Appearances of the Pseudo courts is totally for your benefit and is intended to invoke fear and intimidation. If you show fear or intimidation, you get a pony ride. "the powers that be" that you are alive and claim the Cestui Que BIRTH CERTIFICATE TRUST account, (Title 31 U.S. Code 1321/1322), is what we are supposed to do too. - Nationality Act, 1940. First: the Sovereign must inquire if we are on the record, and if not, insist upon it! Say nothing, sign nothing and answer no questions until you are convinced that the proceedings are being recorded! Fourthly: if the Sovereign suffered any damages as a result of his arrest, he can direct that the Trust compensate him from the proceeds of the Court by saying; “I wish to be compensated for [X] dollars, in redemption.” This statement is sufficient to remove the authority and jurisdiction from any prosecuting attorney or judge. The accused will be immediately released from custody, with a check, license or claim he identifies as a damage. It doesn’t matter what the action involves or how it is classified by the corporate law as a civil or criminal action! Pope Boniface VIII in 1302 during the Inquisition, an “express trust” was created with a Papal Bull called “Unnam Sanctum”. It created this and it created the Roman Empire from Roman Cult Sorcery. All law is Ecclesiastical Law. This law allows “Constructive Trusts” to be created. These trusts demand you retire before 75, because that is outside the law of the trust to claim. In a courtroom you have an Administrator, Trustee, Executor and a Beneficiary. A person taken in to court is the Beneficiary. Your Birth Certificate is nothing more than the title of the Trust, the Judge in a court, who is basically an Administrator, asks for the person’s name, if you give your name, the one on your birth certificate, then you are allowing the Judge (Administrator), to swap roles with you as the beneficiary. Once they have the name, you have given the fiction of the Cestui Que Vie Trust, life. It is nothing but modern slavery; it allows the Stock shares, which are generated by your birth certificate, to be taken from you. The Government has to supply evidence to a Monetary Fund that proves there is a demand for money, your Birth Certificate is proof of that. If you have “dealt with property in an unconscionable manner”, then the Judge, or the state, has the power if you identify with the name on the trust, to take this property off you. The Judge receives a commission, the public purse is relieved of an expense, but you still exist as demand, so whether or not you are able to contribute, if you are part of the trust, you are not permitted to be a beneficiary. The Clerk is the Trustee, the Prosecutor is the Executor. The Prosecutor has the liability, they create the summons to a hearing. Once you admit to being the beneficiary to the trust, then the Executor becomes the beneficiary and you become the Executor and you execute your own sentence. 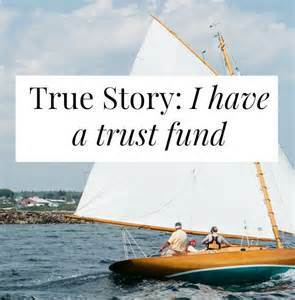 If you don’t identify with the trust, then the Executor has to pay, as they have bought the proceedings to claim. The Ecclesiastical factor means that a court room is about the “Sacrament of Penance.” This means that you are a “Sinner”, you have been a source of funding for the Stock Exchange and the system has now capitalized on your felony, your predisposition as a sinner, so you are no longer permitted to handle the property of the state in an unconscionable manner, the Ecclesiastical Trust in the court represents Church Law, the Judge, Clerk and Prosecutor and even your own Lawyer or Solicitor, are representatives of the Church, they are in business with God, Priests. If you sin, they are saying that they can offer forgiveness by getting you to confess and identify with the trust and that you will be “forgiven” by God, if you give them the money that your existence and name permits the banks and the Governments to make money “out of thin air”. It is an Administration of credits from the Kingdom of Heaven. This “Administration” is “Penance”. It only works with confession; it runs like the Church and is a glorified confession booth. You basically through your identifying with the trust, the accuser, the person accused and the witness and the Priests give the Judgement and the sentence and has the power to forgive sins. They manage the indulgencies, which are sins committed after forgiveness. They have monetized sinning, which has got to be a problem in our disastrous economy. Instead of using your money in this corrupt trust to solve problems with technology and make resources of the Earth every human’s inheritance, they instead create legal fictions like this. A warrant is only in place to indemnify the Queen from being sued if they lose, a warrant also allows a “Writ”, which is basically a “Rite”, which is a religious term for a spell, to be sealed and indemnify the Monarchy. The basic truth is that it is illegal to send people to jail; it is only this inhumane legislation of reinterpreted madness that permits fraud. A Writ is also an indulgence, but because of all this reinterpreting, no one picks up on the madness of it all, the piracy. Prosecutor can be broken down in Latin to mean –“Representing one’s own flesh, or a person who is claiming to be you, making a false accusation”. If the Prosecutor can’t get you to swap roles, then they have to pay the liability and they receive no commission from your trust account. You are nothing more than a bank account. The way out of this is just as insane as the trust. Instead of having a birth certificate, you can have an Ecclesiastical Birth Certificate called a Live Born Record. This is an independent system that doesn’t identify with the trust. It means that you have documented proof you are divine and so you can’t sin! By this fact, if you have a birth certificate, then your soul is owned by the state and ultimately, the Vatican! You can also say this in court, you don’t have to go to prison, no one does, it is all illegal. The very mention of this knowledge will put the fear of God into the Judge. Don’t ever identify with the trust. You must be very careful not to identify with the name of the trust because doing so makes us the trustee. What does this tell you about the Judge? If we know that the Judge is the trustee, then we know that the Judge is the name, but only for this particular constructive trust. As you will notice the Judge will become frustrated with the refusal to admit being the name, that they will issue a warrant and as soon as the man leaves they arrest him, how idiotic is that? They must feel foolish for admitting that John Doe is not in the Court, so I’m issuing a warrant for his arrest and as soon as the man they just admitted is not there to be arrested because he is there. They must get us to admit to being the name or they pay and we must not accept their coercion or we pay because the Judge is the Trustee, a precarious position. The best thing to say in that case is “John Doe, is indeed in the court, your Honour.” Point to the Judge. Why not? We are men and women, we are not persons. We have Dominium. During their frustration over not admitting to being a trust name, the trustee and/or the executor of the trust, we ought to ask who they are. “Before we go any further, I need who you are.” Address the Clerk of the court. “Did you also appoint the prosecutor as executor of this constructive trust?” Then point to the Judge. This is the power we have, dissolve this confession; I’m not into sin, I’m Divine. You are a spirit, they view you as a dead soul, lost at sea, minor, and incompetent and award of the state. There are 100,000s of people doing this. When you go to court, magistrates, you are under UCC law, this means you can only be fined. When the Judge has a recess he can change it to Canon Law or Maritime Admiralty Law, this can sentence you to prison. Admiralty Law is in play as you are then seen as lost at sea, you are officially stock on a port and they now have the power to store you in a warehouse (prison). If the Judge orders the Bailiffs to throw you out of court, then you can say “Don’t do that, you are dishonouring a court official.”, because the documents have been handed to the bailiff. If it is adjourned, then it stays in the same court, so just follow the above. If you say this, the Judge will be reluctant to go to appeal because he will be losing out on commission. Go to Santos Bonacci “Your Soul Is Owned By The Vatican” on Youtube, this is all there with resources. The Birth Certificate, Cesta Que Vie Trust. "Justice System"